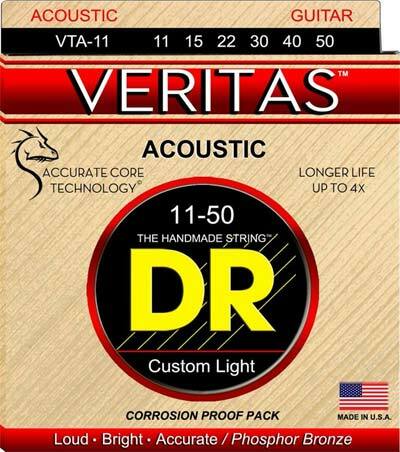 Accurate Core Technology© (ACT©) is at the heart of VERITAS strings. Superior core wire is the foundation for tone, accuracy, and durability. DR's patented Accurate Core Technology strengthens the core wire and perfects any variations of the core wire. The core wire is far stronger and more accurate along its entire length for highly improved pitch and longer life. My husband has never used these strings before and he has played an acoustic guitar for many years. He is amazed and very happy with these DR strings as To the quality and feel of the string. I believe he will be a long time customer.